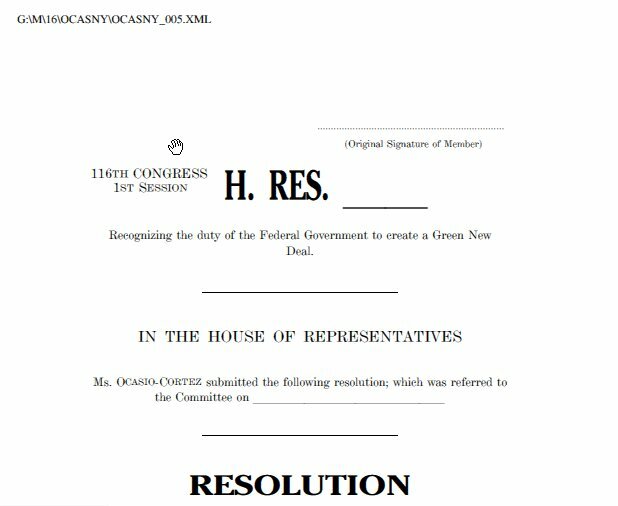 Ocasio's trumpeted 116th Congress 1st Session Resolution has been put before America for review. 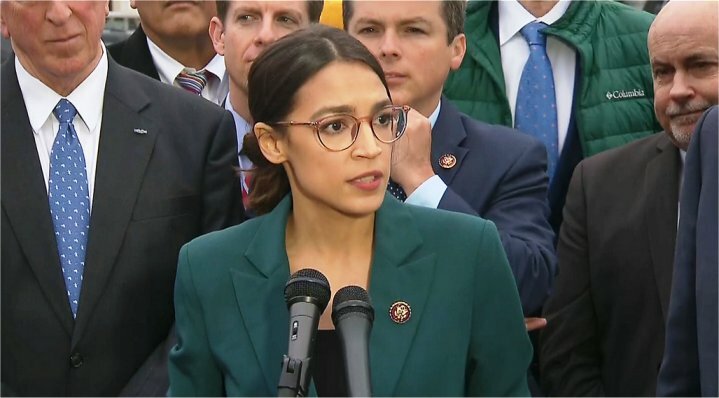 Is Ocasio's "Green New Deal " the real deal that every American wants? Some would say that it's an idealist view for America, others would say that it's the new Socialist Democratic view for the New America. Can America afford just train travel in place of jet travel, rebuilding of every building structure, complete zero emissions energy, elimination of cows (no meat), elimination of the healthcare insurance industry, elimination of oil drilling, elimination of coal as an energy source, free college education, free healthcare, minimum income for those that cannot work and for those that do not want to work. The people standing behind Alexandria seem to support the basis proposed, do you support this resolution? Post your thoughts.